Dragon Ball Super Episode 123: DBz is going to return today after a short hiatus of a week. When DBS returned with episode 122, it was well received by the audience. All the credit goes to its great animation and interesting plot. A portion of the huge fan based is eagerly waiting to see the final battle showdown between Universe 7 and 11 which will be featured in the next upcoming episodes. In the last segment, Vegeta got into a difficult and dangerous situation after attacking Jiren. 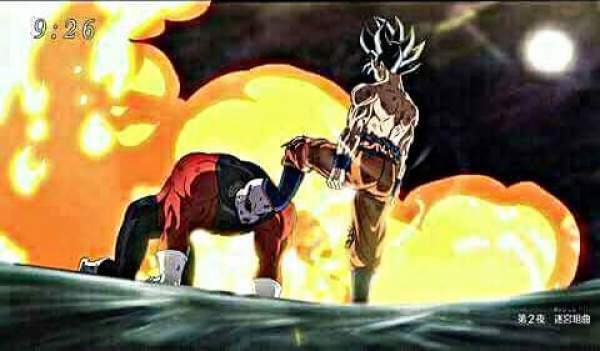 To counter it Jiren also attacked the Saiyan Prince. As a result, Vegeta’s inside power got awakened and he became stronger. But, it tuned out to be less than enough to defeat the Pride Trooper. It will release this Sunday, January 14, 2018. Goku will come to help Vegeta and then, both of them will fight Jiren and Android 17. There will be more fights to be seen including Gohan vs Toppo and Frieza vs Dyspo. Though all the remaining fighters are good, the whole fandom will be most interesting in the fight of Universe 7 Saiyans vs the most powerful fighter of Universe 11. According to the title, Goku and Vegeta seem to go to the next level to unleash a new power level. There are reports that Goku will come forward to fight Jiren once again. Son Goku will fire Kienzan, cluster bombs, in all directions at Jiren, but it won’t be sufficient to hurt Jiren. Vegeta will come up with his ki and start glowing blue. The comic book report says that Vegeta will successfully surpass the Super Saiyan Blue level as evident from the voice-over of Goku in the promo for the episode. Goku can be heard saying that Vegeta has awakened a whole new and amazing power level beyond Super Saiyan Blue. Moreover, he adds that Vegeta should hit Jiren with all of his power. If Vegeta becomes successful in whipping out Jiren, but Goku will feel jealous. Until now, Goku has finished his opponent despite having lower power than of Vegeta. It may have been happening due to the Vegeta’s arrogance level during his fights. Jiren might have also noticed the same. Do you think Goku and Vegeta would be able to defeat Jiren? It airs at 9 am JST on Fuji TV. Stay tuned for more.